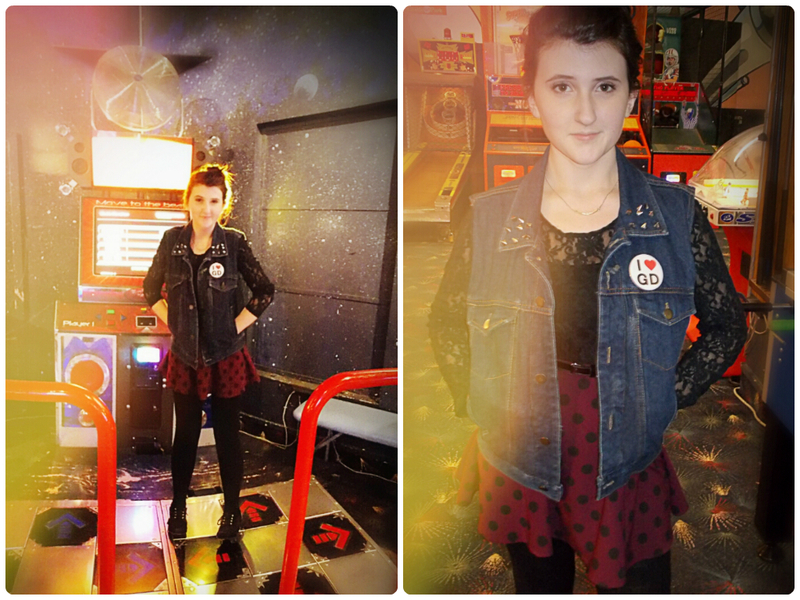 Bright lights and arcade games set the stage for this look. 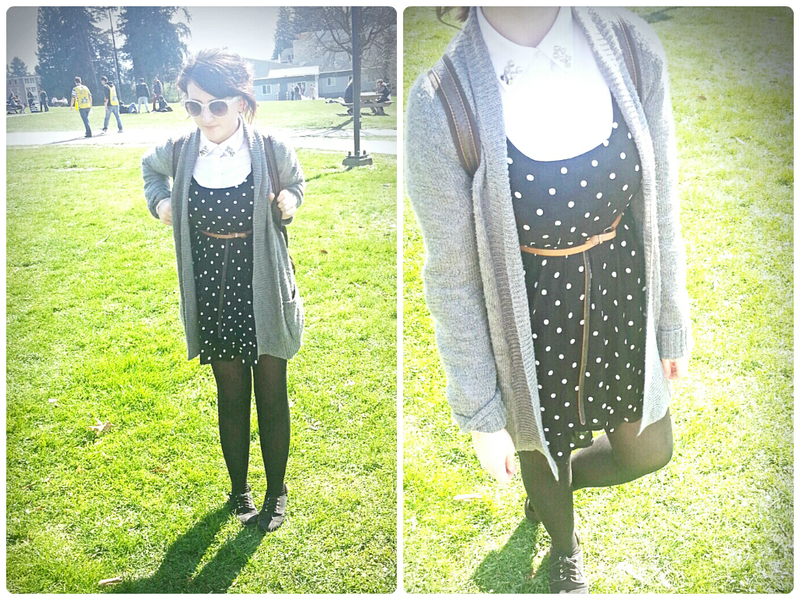 It was one of those days that I just felt young, and I wanted to express that through my outfit. 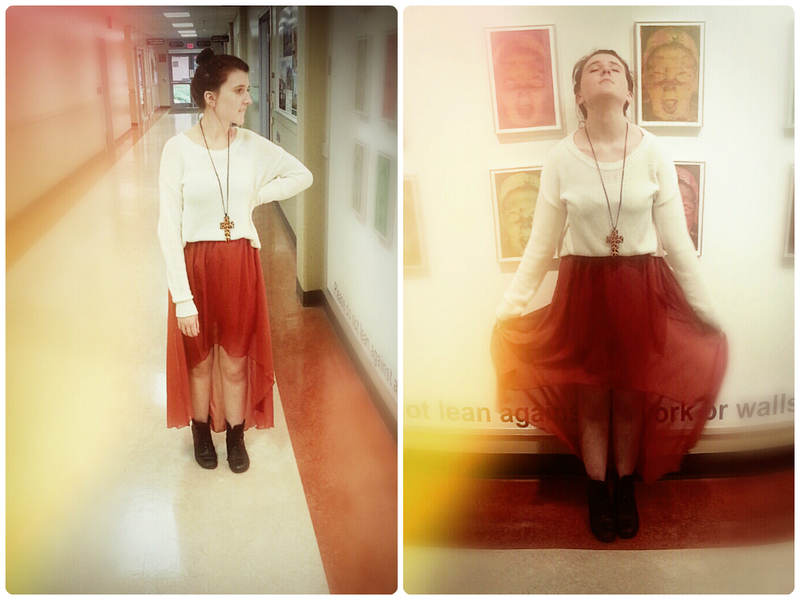 I put on my oxblood polkadotted skater skirt, along with a lace long-sleeved shirt for a cute and child-like look. On top of all that, I wore my trusty over-sized denim vest, that I DIYed with studs (and my little “I love GD” pin, because I always gotta be reppin’ my fandom. VIP until whenever). I love the way the lace shirt looks with the rough and tough denim. Thanks to Sonia for trying to get good lighting in this dark little space!